Just what brings outspoken soap veteran Catherine Hickland back to One Life To Live? TV Guide Magazine&apos;sMichael Logan gets the scoop from Hickland on what viewers can expect when alter ego Lindsay Rapapport returns to Llanview. TV Guide Magazine: Back to OLTL. Word is, after the big prison break an incognito Lindsay makes a beeline for her old flame Bo [Bob Woods]. Does she still have a thing for him? Hickland: It&apos;s sort of ambiguous. I&apos;m not being coy. I really couldn&apos;t tell from the script. But, yeah, I got to work with Bob and Hillary B. Smith [Nora] and Ty Treadway a bit. For me, it was a satisfying ending for my character. I liked the idea of playing Lindsay one more time. That character has a place in history on that show, that&apos;s for sure. Though, at that point, Prospect Park was still planning to take the show to the Internet. I was happy to wrap it up, or leave it open. Whatever they had in mind. Hickland also dishes on why she came out swinging against OLTL and All My Children getting the axe from ABC and speaking out against former ABC Daytime President Brian Frons. TV Guide Magazine: Why were you so vocal in your blog about the cancellation? You even joined fans on an anti-Frons picket line. It was a whole other side of Catherine Hickland we hadn&apos;t seen. You were really out there! Hickland: And I was happy to be out there! I didn&apos;t really care if I ever acted again so, for me, it was no big deal. Everyone else at OLTL and AMC was under gag order and had the fear of God put into them. There was nothing keeping me from telling the truth. When I saw our wonderful viewers being yanked around like that I just couldn&apos;t take it anymore. They are the bread and butter of this business, the very reason soaps have remained on the air for decades, and they deserved to know what&apos;s really going on. I guess that was the reason behind my snap, so to speak. I just didn&apos;t have any idea it would be so far reaching and cause such a fuss. I was just saying my thoughts, blogging like I have for ages. I spent a lot of years at OLTL being told, "Don&apos;t say this. Don&apos;t say that." This is America, may I remind everybody. To not be able to speak your mind is very frustrating. If you don&apos;t let your feelings out, that&apos;s where sickness lies. I had already moved on. It&apos;s not like I felt anyone owed me a career. It wasn&apos;t about that at all. I just felt that the audience was owed simple respect, something we all owe each other — in business and in life. Speak the truth and shame the devil Cat! To find out what Hickland thought about being asked back to OLTLclick here! 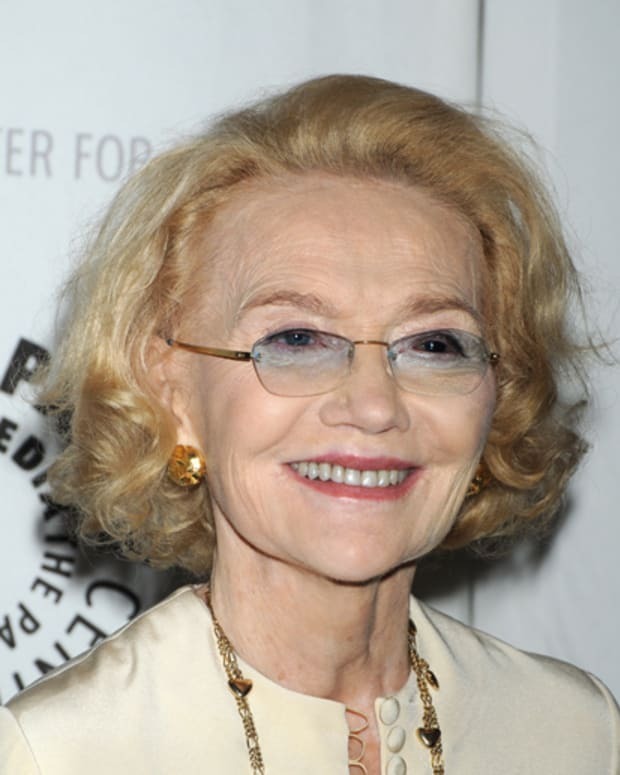 Agnes Nixon Returns to One Life To Live! Fiona Hutchison Returns to One Life To Live!